← a few discrepancies in stitch counts! 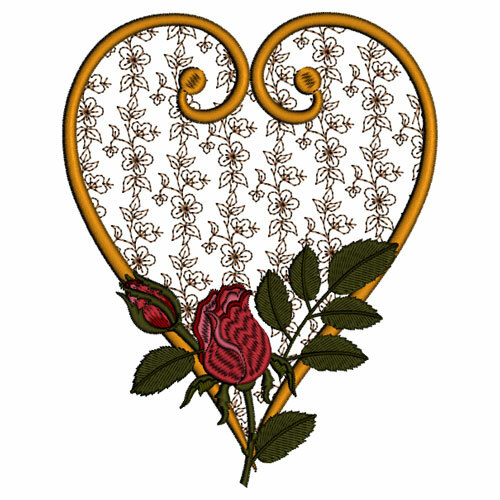 Over the last few days I have been featuring all my heart embroideries on Twitter. 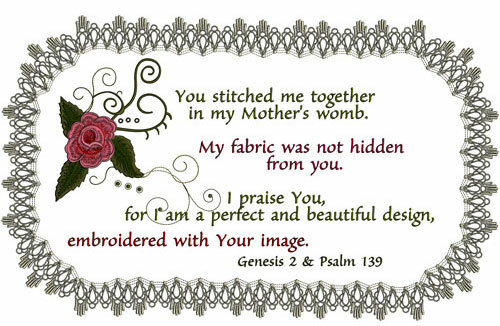 Giving a gift at Valentines that you have created on your embroidery machine, will bring a smile to a loved ones face. I thought it would be a good idea to outline some suggestions for you all, as I have been told quite a few times that my customers love my designs but have no idea how to use them. 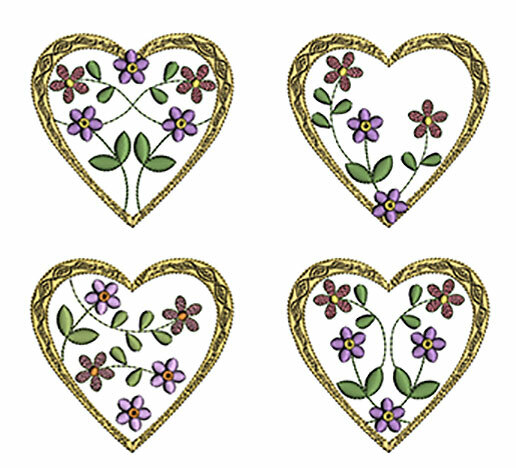 It would also be good if you shared your Valentines embroidery projects too. Please email them to me so I can feature them on my website. I suppose the obvious and most simple embroidery would be a card. Select a small heart shaped embroidery and insert it in a card. There are several hearts in the Floribunda’s Serenade collection which would be perfect for doing that and it is on special until the end of the month. 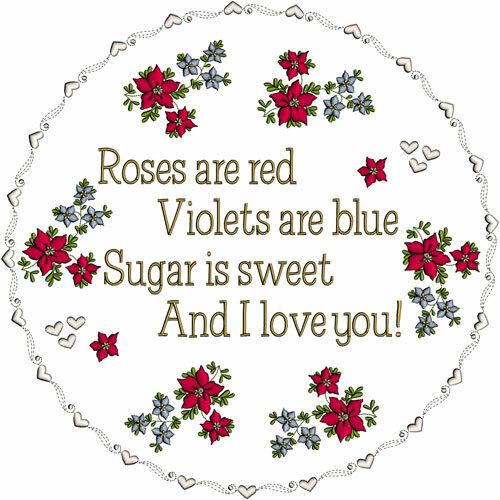 Another lovely idea would be to embroider a cushion or pillow with the roses are red, violets are blue verse. Last year I created my first Valentines crazy quilt block and this would make a wonderful gift. After completion make back it and fold over to make a small purse. You could also edit this design by taking out the elements and creating your own embroidery, which is fine with me providing you do not sell the finished item. 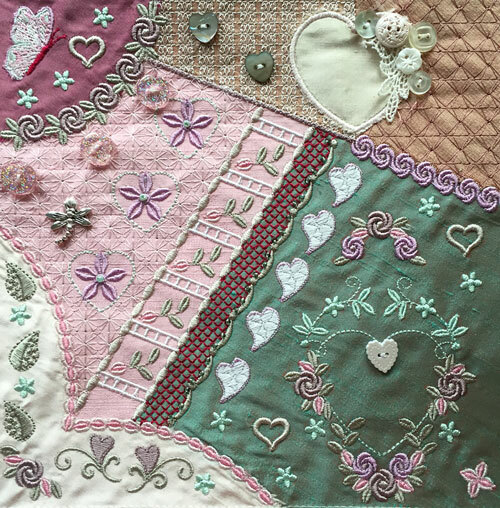 I am also currently developing this years Valentines crazy quilt block which I will feature very soon. If you have more time you could also embroider a table runner with hearts on it. 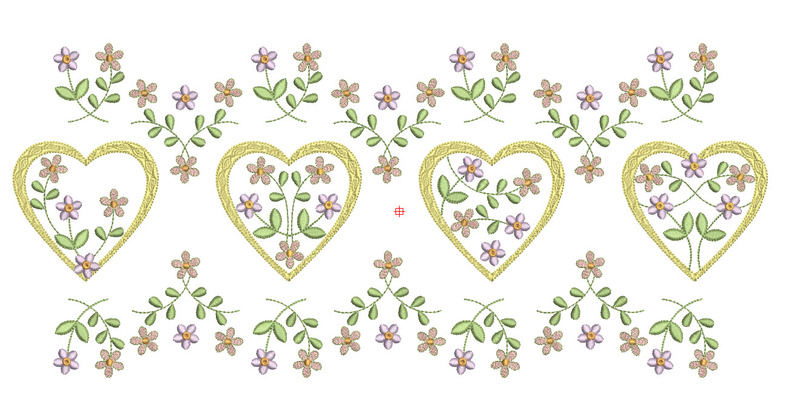 Take a look at the small hearts in the Delicate floral hearts. These will stitch out relatively quickly and they also have a variety of hearts to choose from. Perhaps you could attempt to do an applique with them. Email me for the applique version. Here is a little idea. Embroider any 4 or more hearts in a row. Select hearts #2 and #6 in your software and delete the heart. Use the flowers to make a border. Mirror image them and place the along the bottom. This will make a simple table runner, back it and finish off. 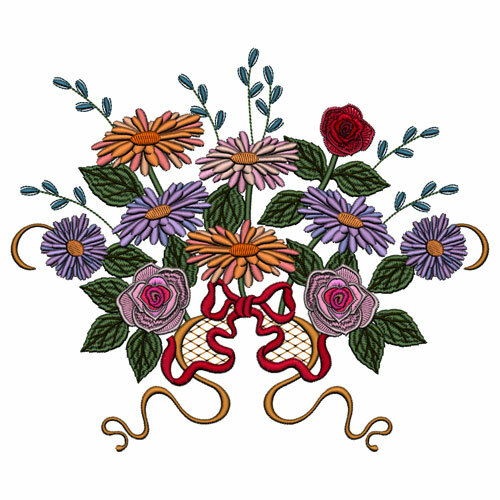 Of course your Valentines gift does not necessarily have to feature hearts and so you might want to look at my other collections like the Embroiderer’s Prayer, or Victorian Promises as these bouquets will never die! At this time of year there are many who will not get a Valentines so you could brighten up their day by giving something you have created. It doesn’t have to be complicated and you may be able to use some test embroidery stitch outs. This entry was posted in Discussing machine embroidery, Embroidery projects and tagged machine embroidery, Valentines. Bookmark the permalink.